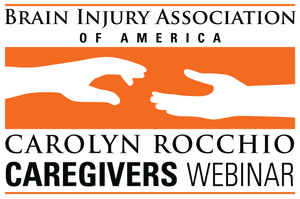 A Carolyn Rocchio Caregivers live webinar featuring Rolf Gainer, Ph.D., Principal, Rolf P. Gainer and Associates. Airs live at 3 p.m. EST April 25, 2019. Registration closes at 11:59 p.m. EST April 23, 2019. Registration closes at 11:59 p.m. EST April 23, 2019. Individuals living with brain injury are at greater risk for behavioral health and substance use disorders. These problems can be exacerbations of pre-injury disorders or may arise from one's response to his or her brain injury. The higher prevalence of psychosocial issues creates significant difficulties in the restoration of a person's sense of self and in returning to effective social roles. Using three case studies, this presentation addresses the psychosocial problems faced by people living with brain injury and co-occurring conditions. Through the case examples, resources, ongoing rehabilitation, and case management needed by these individuals will be identified. To review the key studies involving people living with brain injury and co-occurring mental health and addiction disorders. To consider the significance of restoration of self and return to social role as important to the long-term outcomes of brain injury. To identify resources that are needed to prevent aspects of psychosocial problems, which affect quality of life and health.